You can change your Facebook name using iPhone. 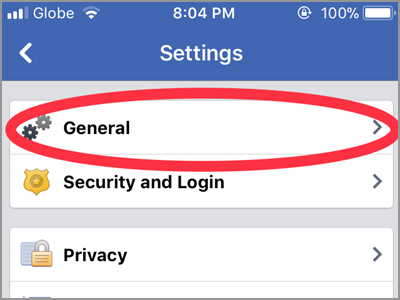 Using the Facebook app for your iPhone, you can make a simple correction in the spelling of your name, or use a different name on your account. This article will guide you how to change your Facebook name using iPhone. Are you a newlywed woman who’s starting to update all your single name’s records including those you are using in your social media accounts? Did you misspell your Facebook name? 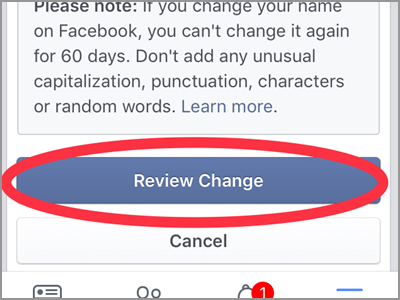 Do you want to completely change the name on your Facebook account? Let this article guide you. 1. Open the Facebook app on your Home screen. 2. On your Newsfeed screen, tap the More option. It is the icon with three horizontal line located on the lower right corner of your screen next to the Notification. 3. Scroll down and click the Settings. 4. A menu from your bottom screen will display different settings. It has the Account Settings, Chat Settings, Payment Settings, News Feed Preferences, and Activity Log. There is also a Cancel button if you don’t wish to change any of the options. Choose the Account Settings. 5. In the Account Settings, tap the General. It’s found on top of the menu. 6. Click the Name tab. Under this tab is your currently using display name. It should change immediately after you save your settings upon completing the steps. 7. The next screen will show you where to change your name. There are three boxes to fill up for a new name. You have the First Name, Middle Name, and the Last Name box. Click the text box and change the name. 8. To continue, click the Review Change button on the bottom part of your screen. 9. Select how would you want your name displayed. The default will be first name basis but you can replace it and choose the surname-first name format. 10. To make the changes take effect, you need to provide your Facebook password. This is for some security purposes. 11. After you put your password, you can now tap the Save Changes tab. This will automatically apply the new name you entered. Q: I want to change my name from single to married but I don’t want to remove my maiden name on display. A: The is an option to use Other Names. You can add any other name you want to like your maiden name, nickname, professional name, and others. Also, you can make it appear on top of your profile. With this, those who knew your maiden name can still recognize you. Q: I can’t change my name on my Facebook profile. What might be the problem? A: Try to review your proposed name. Facebook has set some rules for putting up a profile name. One of these is a restriction on every character. It shouldn’t include numbers, symbols, unusual capitalization, and even repeating characters or punctuations. Another thing is, it shouldn’t have an offensive or suggestive words. Check your name if it has some restricted words and characters. Q: How often can I change my Name on Facebook? A: As a major rule in changing names on Facebook, you can’t change within 60 days. Still, there is no limit on changing your name. You just have to be careful and properly review your desired name before tapping the Save Changes button. Remember that this change name setting tends to help you stay connected especially with those people that have been part of your life but lost communication years ago. Hope you find this article useful and helpful. If you have questions with any of the steps above, let us know in the comments.